Important! After latest update of Facebook Platfrom Policy from August 8th 2014 Fan Gating is official not allowed and turned off as possible function – Fan Gate function will not work any more. 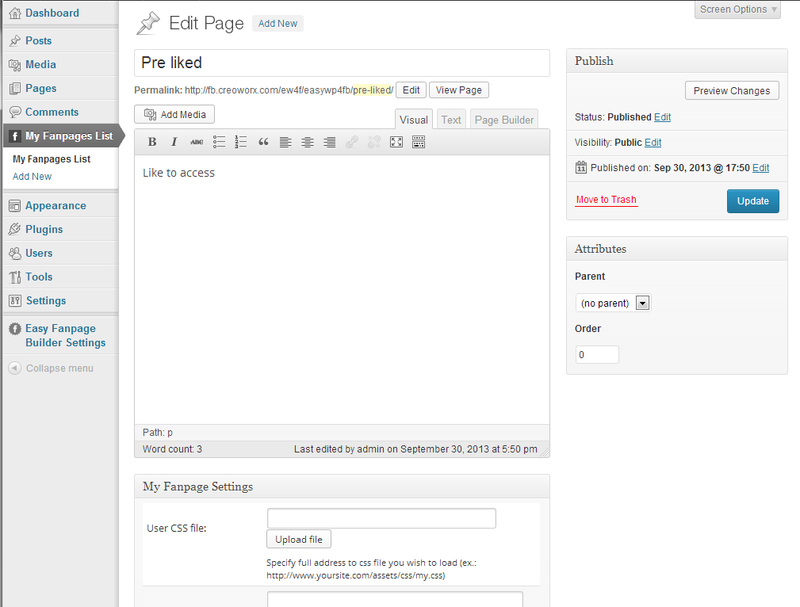 Latest version 1.2.8 From August 27 2014 with fixed support for latest WordPress versions and Facebook API 2.0. Please read documentation for important update information before you update from previous versions. Version 1.2.7 from February 18, 2014 with added mobile support to Facebook Applications (mobile support is in development mode and may produce unexpected results – use it on your responsibility) and WooCommerce 2.1 support. 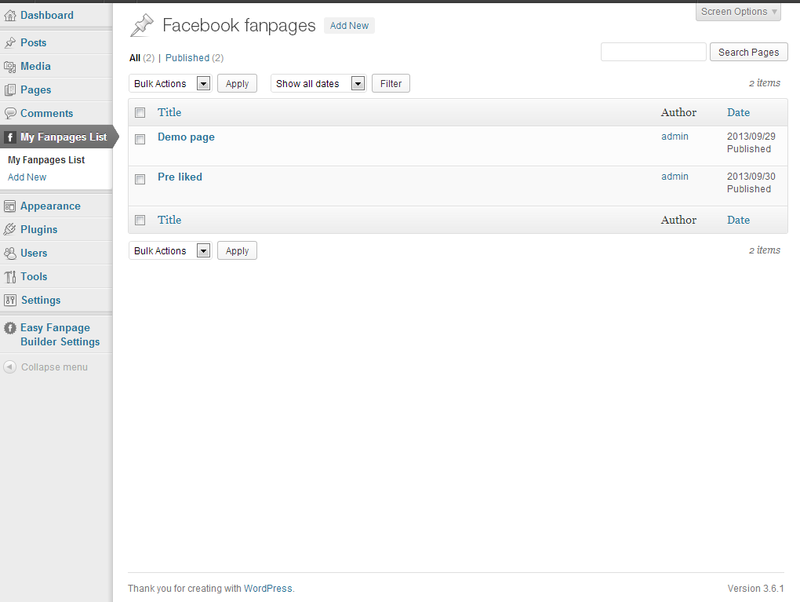 Latest version of Easy Facebook Fanpage and Promotion Builder is compatible with WordPress 3.8 and WooCommerce 2.1. Previous version 1.2.5 from December 5, 2013 with new features: WooCommerce products display in your fan page with add to cart, Facebook Social Plugins shortcodes (full change log can be seen at the end of page). A new feature of Easy Facebook Fanpage and Promotion Builder is available: Easy Facebook Contests provided from separate plugin. All demos are updated and fully functional. This is demonstration of Easy Facebook Contest plugin for Easy Facebook Fanpage and Promotion Builder. 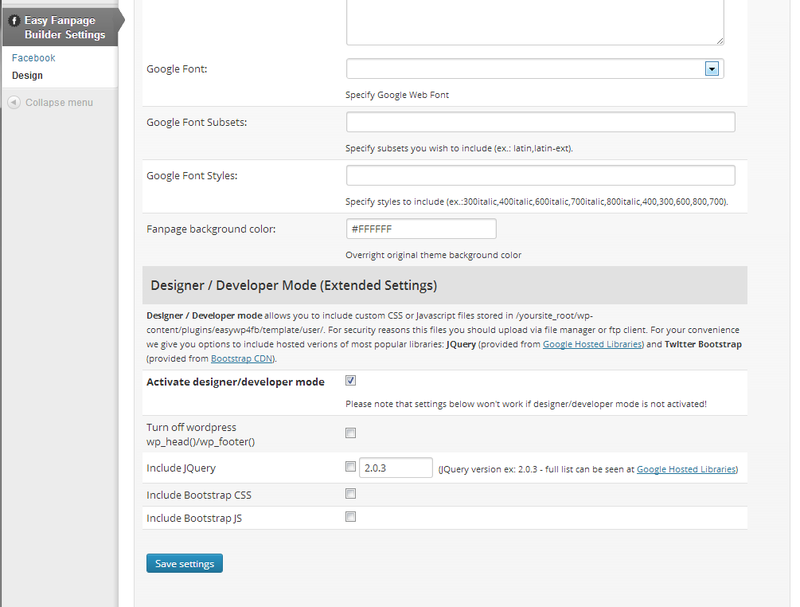 Why I need such plugin? Facebook can make your brand go viral. Easy access to thousands of new potential customers. Create amazing promo campaigns and attract new fans. Easy promote your special deals, products, services, events. Facebook Sweepstakes – one of easiest ways to increase number of fans or your mailing list with potential new customers. Facebook Contests – allows you easy to run unlimited number of Facebook Contests. This function is provided from Easy Facebook Contest plugin which you need to purchase separately. WooCommerce product display – easy way to promote your products with option to add to cart in your fan page and purchase from your current store. You will have add to cart button which is connected with your current store and when user wants to purchase product he can added it to cart in Facebook Fan Page and it will automatically appear in his cart in your store where he will be able to make actual purchase. Please note that this is not full implementation of social commerce solution which will integrate your current store into Facebook. Easy Facebook Fanpage and Promotion Builder allows you to display products into your Facebook Fan Page with option to Add To Cart or display single product page with option Add To Cart. When you display list of products and user wants to see detailed information he will be redirected to your actual store (opens in new window). To make actual purchase you need to place link which will redirect users to cart page on your site where he will be able to checkout. When you are using Share Gate function, your fans will need to share your message or page to unlock content. The message can link to your fan-page or to page you select and all of their friends will see it. Easy way to get more fans for your page. Facebook users love sweepstakes, because they get a chance to win something with almost no efforts. Sweepstakes are one of the best ways to increase Facebook page engagement, spread the word about your brand, and grow your fan base or mailing list substantially. Combining sweepstakes with other marketing tools like fan gate and share gate can increase your fan base very quick. With Easy Facebook Fanpage and Promotion Builder you can easy ran Sweepstakes with only a few clicks. For full review of features please refer to documentation link at the bottom of this info. 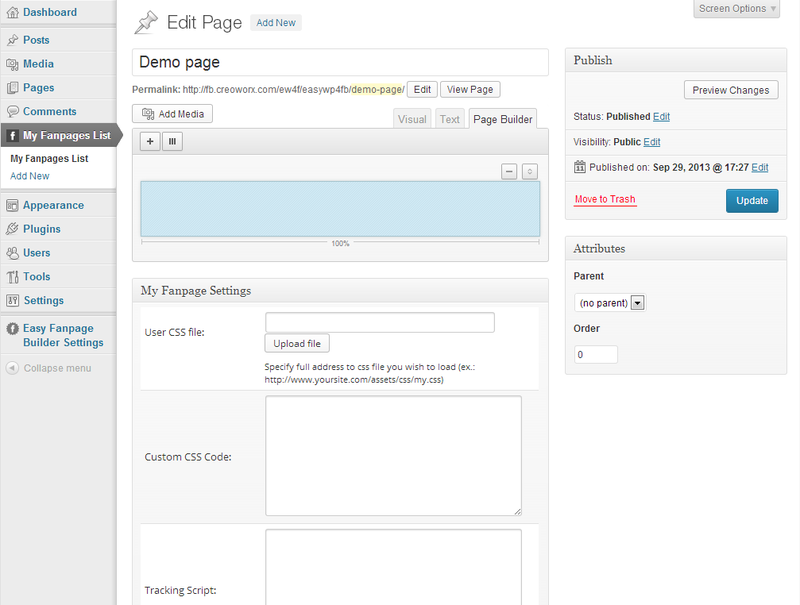 Back-end demo can be seen here (username: demo, password: demo). Please note that back-end demo is not connected to actual front end preview. 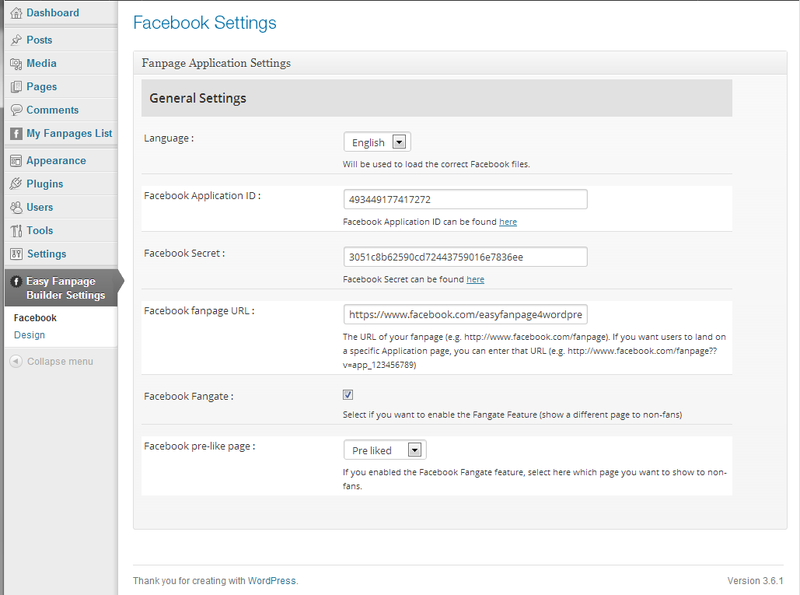 In back-end demo Facebook settings page is disabled – you may preview this part in screenshot section. This plugin is perfect. In every way. It does exactly what it’s supposed to do. The amazing thing about this plugin has less to do with the code itself, as it does with the plugin’s author—wow, what customer service!! I have never met ANYONE so single-mindedly focused on making sure that my use of his plugin was everything I wanted it to be. Just plain flat-out STELLAR support. 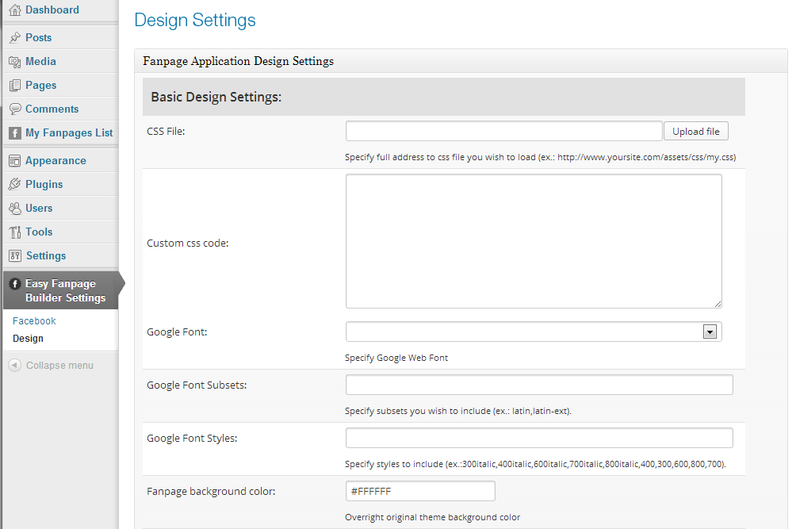 Please see the Easy Facebook Fanpage Builder Documentation to preview all of the features and read for special requirements that plugin require to work. If your current hosting does not meet requirements but you still wish to use plugin please see this tutorial how you can open another free hosting account just for your Facebook fan pages (without affecting your current site work). 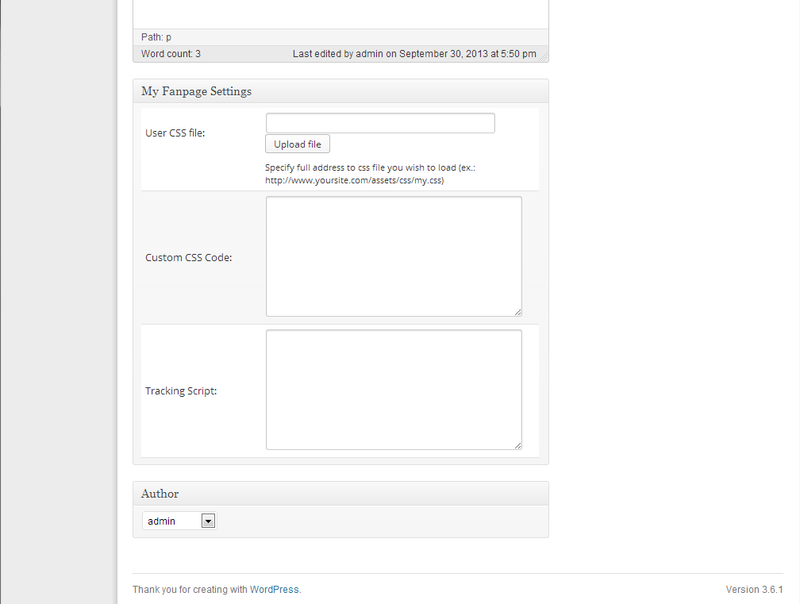 - Using default encoding from WordPress configuration to provide support for non-latin chars in installation process.